Your heating and cooling system accounts for the highest percentage of your energy bills so losing heat directly translates to higher energy costs. 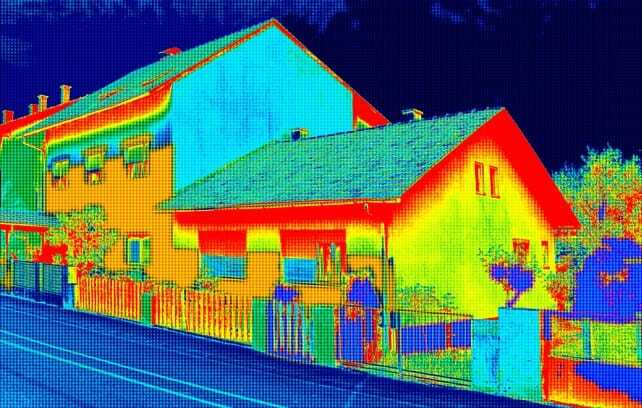 The average home may be losing up to 30% of its heat if not properly insulated. Insulation helps to improve efficiency, keep a comfortable indoor temperature and saves significant costs on energy over the long term. Drafts account for up to 38-percent of heat loss in a home. Gaps in the doors, windows and walls let cool air into the house. Inspect these areas for worn weather-stripping and seal any cracks less than 1.4 inches wide with caulk. Use insulation foam for larger cracks. Taking care of these drafts alone can make a significant difference in your energy efficiency. Although very little heat is lost through your basement floor (typically less than 1-percent) you may be losing up to 20-percent of your home’s heat via the basement walls. Insulating the walls will help to curb this heat loss. Unfinished basements are particularly notorious for losing heat. Frame walls lose heat through conduction where the warm air escapes through the walls. This heat transfer accounts for up to 17-percent of the home’s heat loss. This scenario points to insufficient wall insulation which you can confirm by removing the wall power outlet and inspecting the condition of the insulation of any. Be sure to turn off power to the outlet before the inspection. Blown in insulation can easily be installed in existing walls so upgrading your wall insulation isn’t a major or invasive project as it used to be in the past. Be sure to get the insulation professionally done for the most energy savings and return on investment over the long-term. Attic Insulation Toronto is happy to make recommendations about the best type of wall insulation for your home. Apart from gaps around your doors and windows, glass windows are notorious for losing heat. If you have noticed it is colder at the window despite it being closed, it is because glass naturally has poor insulation qualities. You may choose to replace your old windows with more modern Energy Star rated versions or for the budget conscious, install plastic sheets designed specifically to keep heat inside the house by reflecting it indoors. Both options also prevent heat from entering the house from outside via the glass during the summer so you’ll feel the difference all-year-round. Energy inefficient windows lose up to 16-percent of the home’s heat. Holes that accommodate ducts, pipes and vents lose up to 15-percent of indoor heat. You can expect an even higher percentage if the attic is not properly insulated, to begin with. Warm air rises to the attic from the living space below and out the house through the roof if the attic floor is not properly insulated. Again, this is a job for a professional as DIY attic insulation installation doesn’t give nearly the same result in energy efficiency and ambient temperature that a professional can guarantee. Poorly fitted or missing fireplace dampers allow air to flow freely up and down the chimney and eventually lose valuable heat, up to 14-percent of your home’s heat. Visually inspect for the missing or damaged dampers and replace accordingly. A simple test is to light a small fire and see if the smoke rises in the chimney flue. This is an indication that there is an air leak most likely at the dampers. Without a professional energy audit figuring out where you are losing the most heat in your home would be pure speculation. 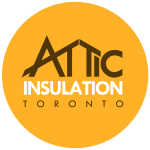 Our Attic Insulation Toronto experts perform a rigorous audit to measure specifically how much heat you are losing, where, why and most importantly, what we can do about it. Our insulation and upgrades ensure that you begin to recoup your investment in the shortest time possible in energy efficiency, less wear and tear on the furnace and lower energy bills. How Can Attic Heat Cause Ice Dam Problems?